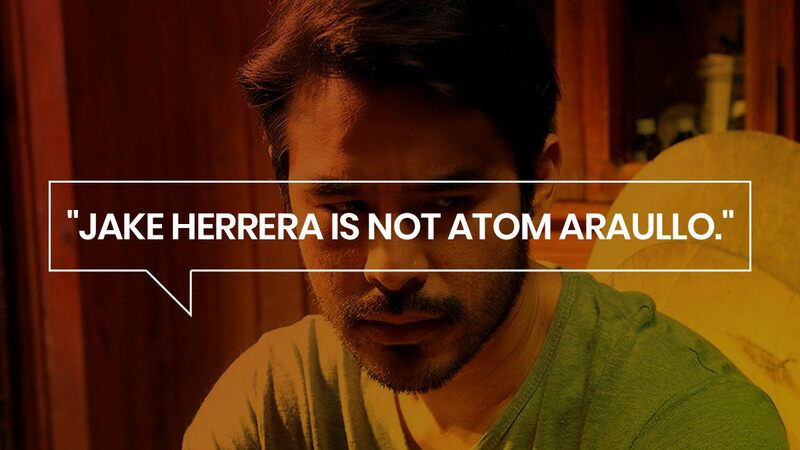 The 'Citizen Jake' director responds to Atom Araullo's Facebook post. Director Mike de Leon wrote a telling Facebook message in response to Citizen Jake star Atom Araullo's post earlier today. De Leon detailed an instance of Araullo being "mayabang," and said, "Isn't journalism about the story, not the journalist? But in your case, nobody is more important to Atom Araullo than Atom Araullo. And you say you cringe at being called a celebrity, a star. How hypocritical. Don't bother to cringe anymore because you revel in it." Although the famed director addressed and admitted to being a "troubled person," as Araullo wrote in his post, De Leon went further in stressing about his star's ego: "Having admitted that I'm a deeply troubled person, I will make no excuses for it—not even the usual 'artists are temperamental and accountable to no one but their art.' But Atom pretends to embrace the universe, when all the time, he is only embracing himself. This is called narcissism." Citizen Jake director Mike de Leon took to Facebook last week to air out his frustrations on the film's star and co-writer Atom Araullo. The director initially cast Araullo in the lead role knowing that he wasn't a professional actor. "I never wanted a professional actor for the lead role," writes de Leon. "I thought it interesting to work with someone whose work was journalism and who I thought shared my political convictions." De Leon called Araullo's journalism as "not the gritty kind but more of the celebrity-centered schlock that sometimes verges on entertainment, even showbiz." While de Leon noted Araullo's substantial contributions to his film, he went further to call the reporter "a closet movie star," and "Perfect for the role of Jake, the self-absorbed millennial." Araullo earlier today responded to De Leon's comments through Facebook, a week after their film's premiere. "I chose to keep quiet while the movie was still in cinemas because I didn't want it to distract from the film, or be accused of cheap gimmickry to promote it." "Mike made deliberately hurtful remarks about my journalism, which, ironically, has nothing to do with my participation in the film," writes Araullo, addressing De Leon's remarks. "All I can say is that I have never made any claims about the quality of my output or my stature in the media industry. To do so would be futile and obscene." "I just aim to do my best like everyone else, always acknowledging that one continues to learn and improve every day." The journalist also reveals that this is not unsurprising behavior from the director, saying that "it was only the latest in a string of unprovoked, irrational, almost random tantrums that I had to endure during the making of this film." Araullo claims that De Leon's attitude affected his work in the movie and tested his endurance. "Mike is a deeply troubled person. The kindest thing I can say about him is that he needs help, patience, and understanding as he wrestles with his personal demons." Despite the tumultuous experience, Araullo is proud of the film, "I can rest easy knowing that I worked hard, behaved professionally, and did all to the best of my abilities at the time the film was made."